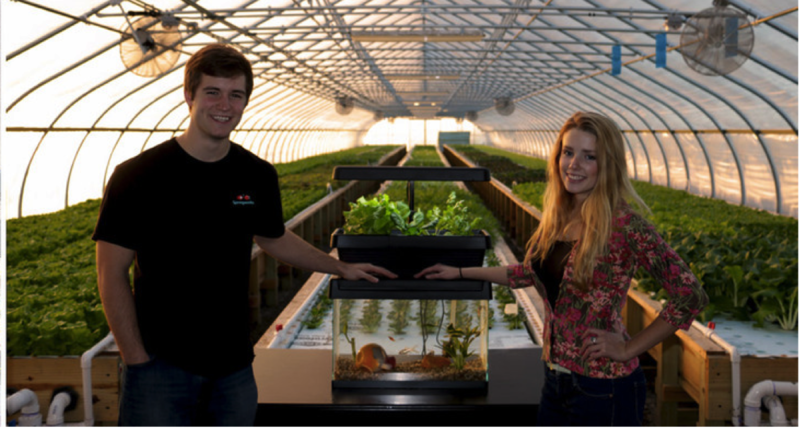 "Aquaponics" is a bit of a buzzword in sustainability at the moment. For those not already familiar with the term, aquaponic systems are used for growing vegetables in an efficient, nearly closed-loop system where animals and plants work together to form a mini ecosystem. Why is aquaponics so great? Not only do systems such as these demonstrate the elegance of life science in a microcosm, but they also enable organic vegetables to grow year round without soil, in limited space, using one tenth of the water required for traditional agriculture. Organic leafy greens, from Bok Choy to herbs, can be grown easily above a fish tank without the need for fertilizers or pesticides. This is great news for a world where limited land and water issues is a massive issue! 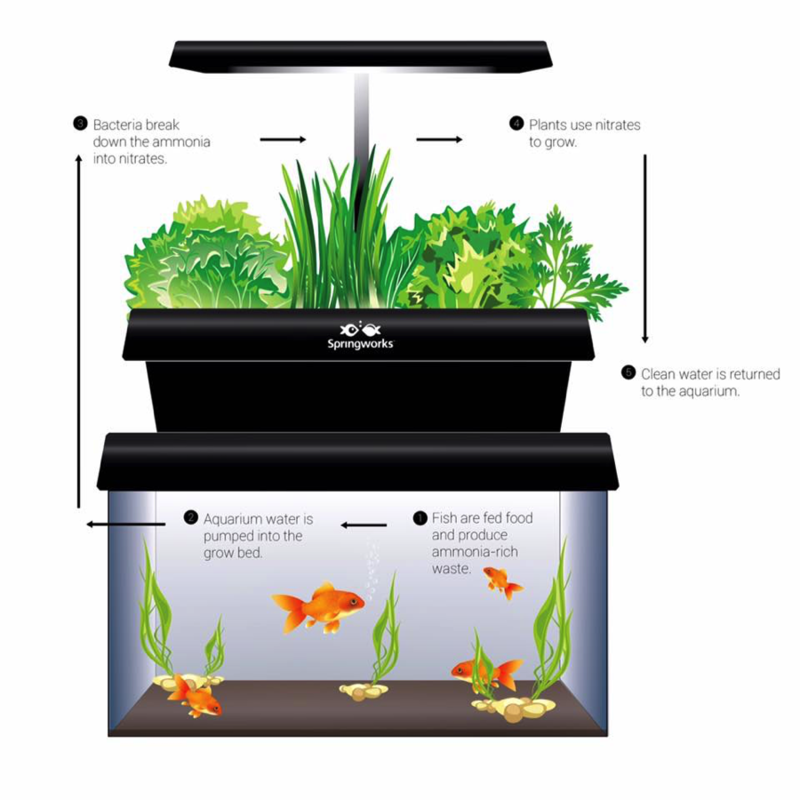 Aquaponics is not dependent on scale: you might find massive aquaponics systems being used by big food-producing businesses, but you can also find tiny units in an ordinary kitchen or garden. 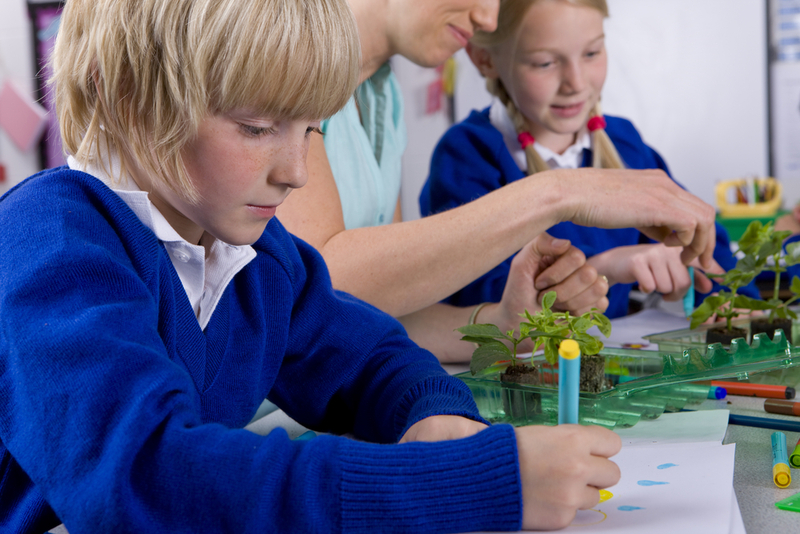 In the classroom, these systems can help educate our student scientists, from preschoolers through university graduates, to become effective environmental leaders. In a world in need of environmental solutions, it is critical that everyone from farmers to CEOs understands at least the basics of science and how our world works. Progress begins with education, which is why Cultivating Action, a youth-led nonprofit in the U.S., is working to place aquaponic systems in schools and organizations as a tool to inspire curiosity. The goal is to give students the opportunity to manipulate and engineer symbiotic relationships. If students see how one small change in acidity affects the plants in their class's aquaponics system, they can begin to think critically about their own impact on the natural world. Integrating aquaponics into existing curriculum is simple, as it's a living example of symbiotic relationships: fish in an aquarium produce nutrients fertilizing the plants growing above the tank. It provides a window into the complex biology, chemistry, mathematics and ecosystem science that help shape the world around us. As climate change increases variability in weather patterns, large aquaponic systems have the potential to increase food security globally by changing the way food is produced and transported. In areas with challenging climates, limited water resources and/or land shortages, aquaponics can facilitate local food production, and replace the existing (failing) systems. Emily is a research assistant in an aquaculture lab, studying how to reduce nutrient loading, fisheries collapse and biodiversity loss by changing how commercial fish farms feed their stock. She also started youth-led nonprofit Cultivating Action to build community around environmental solutions and to expand education.